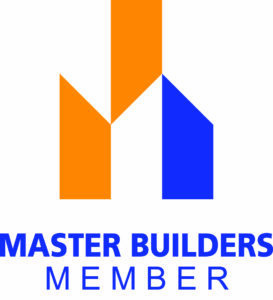 We are a fully insured and licensed builder. See below of all the current insurance and licenses to work on your home. 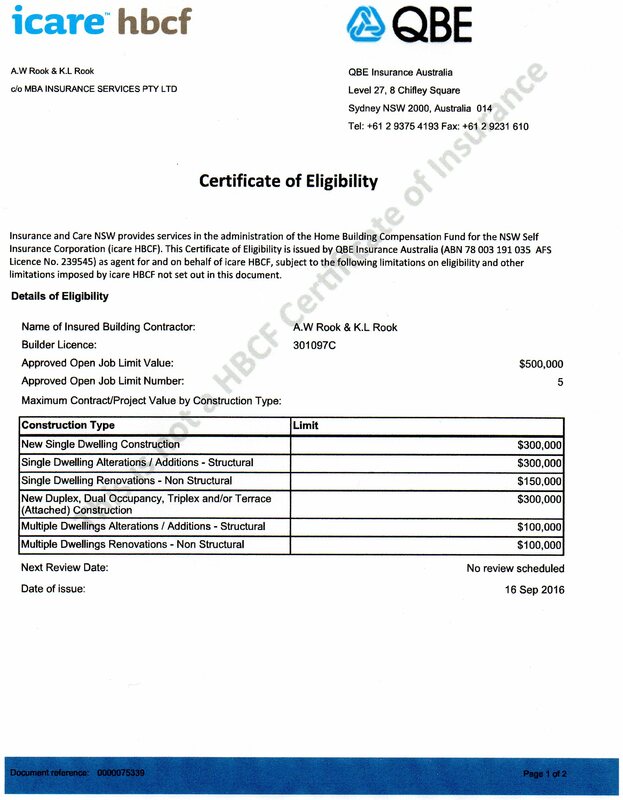 Required for jobs over $20,000 it provides protection for home owners, including subsequent purchasers, for losses arising from defective and incomplete work where the builder or developer becomes insolvent, dies, disappears or the licence of the builder is suspended for failure to comply with a money (compensation) order in favour of the home-owner made by a Court or the NSW Civil & Administrative Tribunal (NCAT). Public liability provides protection against legal and court costs (i.e. legal liability) in the event that someone is injured, or has their property damaged while you are providing a service to them. Product liability insurance protects against claims of personal injury or property damage caused by products sold or supplied through your business. It is designed to help protect your business by ensuring that if this happens, you don’t have to pay any legal or court costs. 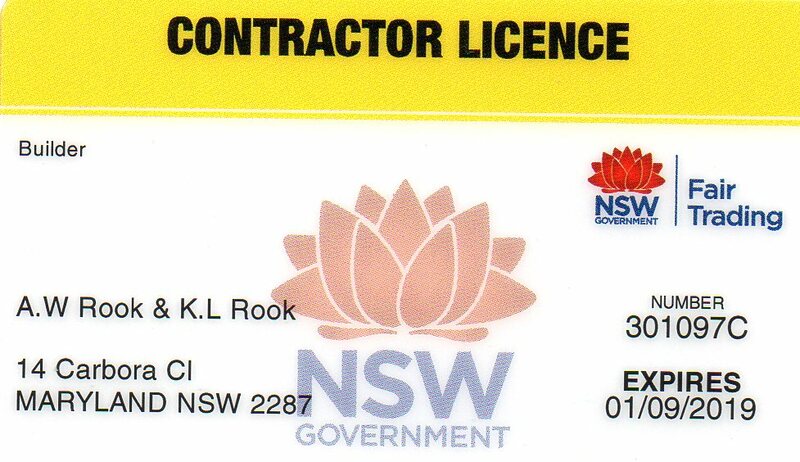 Contract Works –covers the physical work that you are contracted to perform. 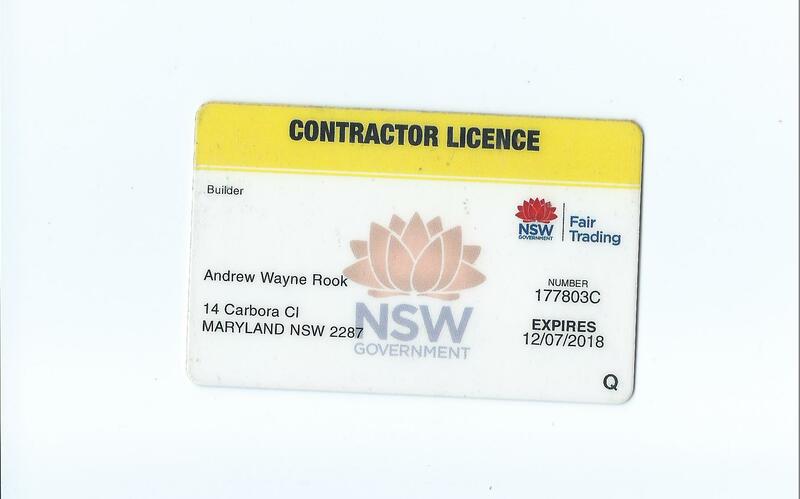 For example if you are contracted to build a new house and there is an unforeseen event such as a theft from site, fire, flood, storm, impact etc that damages all/or part of the works this allows you to claim on the policy in order to reinstate that project back to the position it was prior to the event. The policy also includes costs of removal of debris, mitigation expenses, expediting expenses, professional fees as long as the sum insured is adequate. 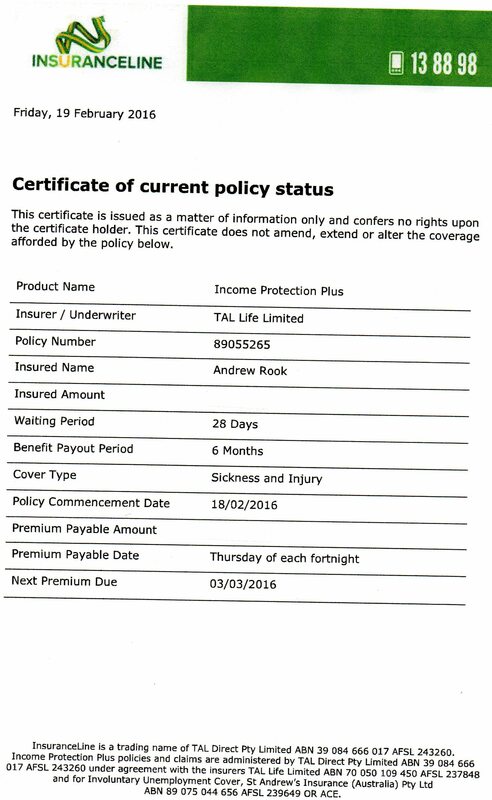 This insurance is because I’m self-employed and not a company therefore I’m not covered under workers compensation. Accident and sickness cover is a general insurance policy that provides coverage against illness or injury by providing a replacement income of up to 75% if I’m unable to work.